If you've ever wondered what makes a logo sticky, unforgettable even, you're not alone. Branding firm Siegel + Gale wanted to know too, but after finding little research providing any insight, the shop decided to look into it. According to Siegel+Gale's new study, Logos Now, logos that are most memorable to the general public use a clear and simple design. Nike, Apple, McDonald's and Coca-Cola are the most memorable global logos; Google, Microsoft, Pepsi, Amazon, Target and Adidas round out the top 10. "Simple was the word that came up above and beyond, more than anything else," said Brian Rafferty, global director of research insights for Siegel+Gale. "When people were asked what makes a logo memorable, it was simplicity." The branding firm conducted an online study with 3,000 respondents in the U.S. and U.K. who were asked to evaluate logos for more than 100 of the world's largest brands. According to the findings, memorable logos are 13 percent more likely to get consumers' attention, 7 percent more likely to make them want to learn more about the brand, and 6 percent more likely to suggest a company is more unique than others in its category. "We now have a benchmark to look at what design can do," said Rafferty. "One of the things the study shows is that there's a familiarity bias in the sense that when people are familiar with brands, they're much more likely to assign positives, and they're much more likely to assign negatives to the same design if they're not familiar with it." That bias helps explain why consumers react so strongly to brands like Verizon's or Google'slogo redesigns. "You see the controversy that always comes up as soon as brands launch new logos," said Rafferty. "One of the things that's great about now having this basis is that we have the benchmark to kind of discount that familiarity bias and really evaluate if logos are doing the job they should be doing or not." Plus, the study helps show what logo design can and can't do for brands. "Often we get requests like, 'I really want my logo identity to show that we're trusted,' and we saw that that actually comes much more from the brand itself and not so much design," said Rafferty. "Design can indicate being traditional, but trust and respect—that's really something that's communicated more by what the brand does than the logo." 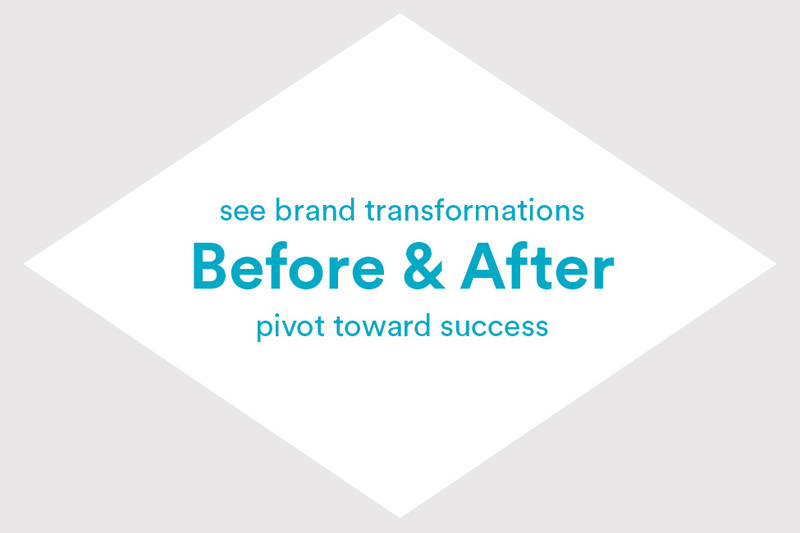 Geometric logos are more commonly associated with being powerful than other logo treatments. Logos with initials are a close second. Serif wordmark logos are more commonly associated with being traditional than other logos. Font-based wordmarks come in a close second. Organic logos are nearly twice as likely to be associated with being warm or caring than any other logo types. Illustrative custom wordmark logos are more commonly associated with being trendy than others. Serif wordmark logos are more commonly associated with being "sophisticated" or "exclusive" than any other logos. In fact, no other logo treatment was in top consideration for being "sophisticated" or "exclusive." Serif wordmark logos are most commonly associated with being respected. Geometric logos come in a close second. Illustrative custom wordmark logos are about twice as likely to be associated with being fun as other logos. Holding shape logos are more commonly associated with being approachable than any other logo treatments. No other logo treatment was in top consideration for being "approachable." Illustrative custom wordmark logos are more commonly associated with being cool than other logos. Holding shape logos are most associated with being original. No other treatment was in top consideration for being "original." Initials logos are more commonly associated with being edgy than other logos. Illustrative custom wordmark logos are more commonly associated with being friendly other logo treatments. Holding shape and initials logos are almost equally associated with being reliable, making them tops for that attribute. Illustrative custom wordmark logos are more commonly associated with being stylish than any other logo treatment. Organic and geometric logos are almost equally associated with being innovative, tops for that attribute.